Buying gold from a trustworthy source is absolutely necessary. When you’re spending over a thousand dollars on an ounce of precious metal, you need to know that it’s the real deal. That’s why many investors are still skeptical of buying gold online, but they’re paying heavily to go to local brick-and-mortar stores. If you’re buying gold online, you can save on premiums. That helps your bottom line. Insured and guaranteed gold shipments protect you from risk and finding a reputable gold dealer can make your life incredibly simple. Not only do online gold dealers offer competitive premiums, they often have larger inventories than local stores, opening up your options to gold products you may not be able to find locally. While shipping can become expensive, many gold dealers offer free shipping on substantial orders. When you’re shopping for a gold dealer, one final feature to consider is their willingness to buy gold as well as sell. It’s not an investment if you can’t easily trade it for money. Local gold dealers can seriously discount their purchases because they treat gold products as collectibles, not investment-grade materials. Gold bullion jewelry – Gold bullion jewelry is not the most cost-effective gold product, but it plays an important role in the gold market. Gold bullion jewelry has higher premiums, but it’s a more discreet way to store value. Gold bullion jewelry should appeal to anyone who is concerned about gold bullion confiscation threatening their investments. Gold coins from the RCM – Gold coins made by the Royal Canadian Mint are some of the securest in the world. That’s because gold products from the Royal Canadian Mint use advanced verification technology to prevent fraud. Bullion DNA takes a picture of a laser-engraved verification on all RCM gold coins and uses an encrypted image to compare with a database to prove that the coin is real. Few mints can compare to the RCM’s anti-fraud technology. RCM gold coins are readily available from online dealers such as Silver Gold Bull. 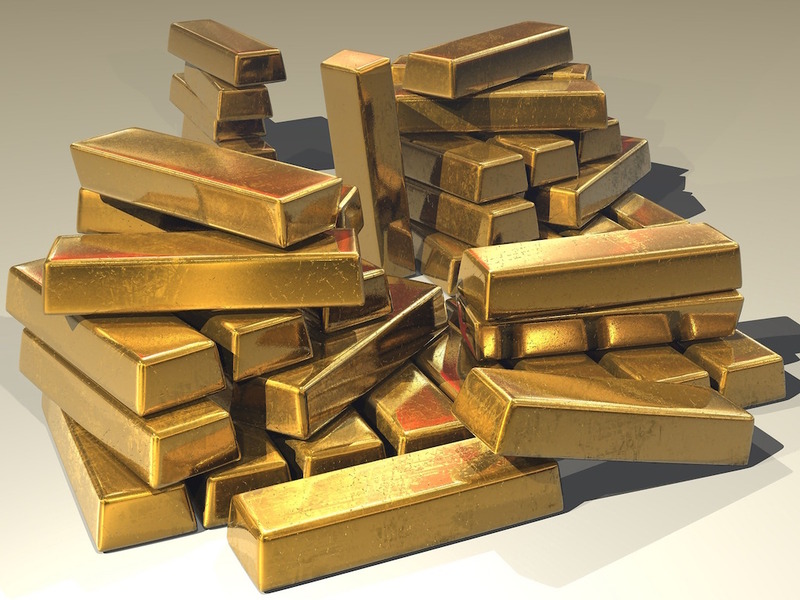 Gold bars – Gold bars typically offer the best value for your dollar. Gold bars are cheaper to make than gold coins with unique designs. Generally, the larger the size of the gold bar, the cheaper per ounce it’s going to be. Where you buy your gold is important. Use an online gold dealer for lower prices and get access to any gold coin or gold bar produced by national mints or trusted private gold refineries. The options available for gold products are practically endless. You can invest, collect, and save with gold bullion.